Select Notes. 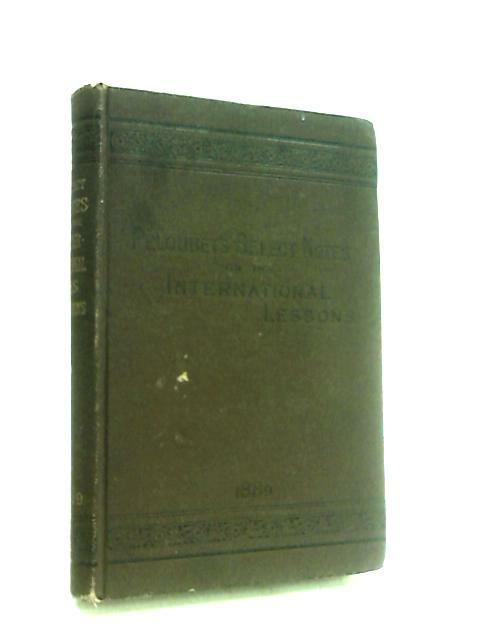 A Commentary on the International Lessons for 1889 by Peloubet, F.
1889. 347 pages. No dust jacket. Brown cloth with gilt and black lettering. Hinge cracked with noticeable foxing, tanning and handling marks. Contains B&W illustrations and decorative endpapers. Noticeable bumping, rubbing and scuffing to spine ends and to corners with noticeable rubbing, scuffing, marking and wear along edges and over surfaces. W. A. Wilde & Co.